Our highly anticipated CHAIN WORK workshop. 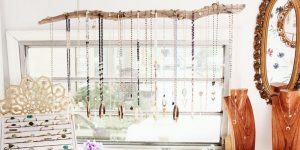 We are bringing you a full day of workshops where you get to come to our studio, sit in our chairs and design your very own custom necklace or pair of earrings with us. There are only 5 per class so these will fill up FAST. Each event will last approx. 1.5 hours. You can sign up for more than one if you want to make a necklace and a pair of earrings! Please note this is a chain work class. We will teach you the fundamentals of working with chian and jump rings. You will be able to choose from over 50 different chains in silver, gold and rose gold. Hundreds of pendants to choose from and other design elements. For earrings, you can start with a hoop, stud, ear wire, etc. So many options! We will be providing mimosas / beer + light snacks all day!